SYSTRAN Blog | Innovation & Security for Critical Manufacturing: MANUSEC Summit in Munich, we’ll be there! To start off 2018 right, we are participating in our first event of the year: The MANUSEC 2018 as an official sponsor. 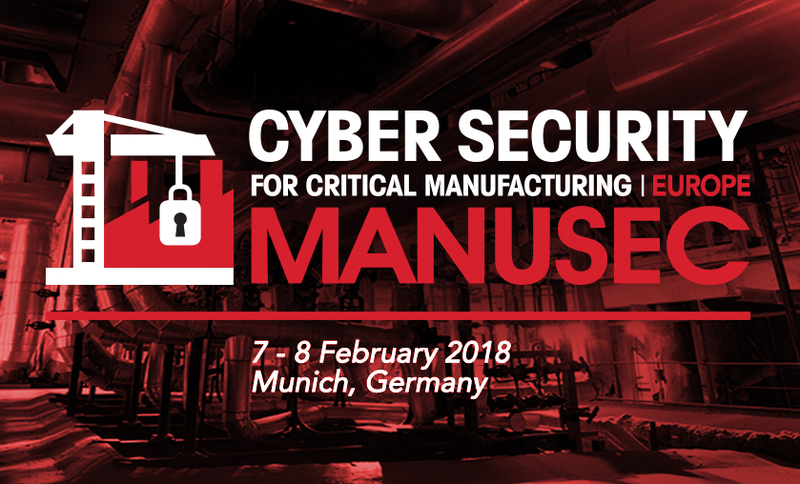 The two-day event will take place on February 7th – 8th 2018 in Munich and will mainly focus on the innovations and advancements being made in Cyber Security for the manufacturing industry. Our account manager Loïc RENE, in charge of the manufacturing and automotive industry will be your main contact there. Please feel free to get in touch with him before or during the event to arrange a meeting onsite. We cannot wait to meet you there! Benefit from 25% off with the code SYSTRAN25 at online registration. Cyber attacks targeting companies in the manufacturing industry are on the rise. The sector is an inviting target for hackers, being the most attacked sector only behind healthcare. The first European MANUSEC Summit will bring together senior security thought leaders to share best practices and find new ways of effectively addressing the current challenges. Ransomware, the human component, the disruptive potential of AI and IoT, GDPR compliance and outdated CISO reporting structures are only some of the topics that will be discussed during the summit. Practical steps and innovative solutions will be outlined and debated by industry leaders through a wide array of hands-on presentations and case studies. This entry was posted in Events and tagged AI, cyber security, Data Security, GDPR, manufacturing, neural machine translation, neural translation by Gaelle Bou. Bookmark the permalink.